Self-gratitude isn’t the same as being boastful, and you won’t become egotistical. Both of those characteristics come from the (⇓) side of the line. You’re speaking from the (⇑) side with the voice of your Inner Coach. I use my favorite self-gratitude exercise whenever I need a boost. I like doing it, because it simply makes use of time that otherwise would be wasted!When I’m driving and come to a red light, I give myself gratitude out loud until the light turns green. I’ll say things like, “I’m grateful for my car and that I always make my payments on time,” or “I am thankful for my great eyesight and for my safe driving record.” My comments don’t need to be about driving. They can be reflections on the good I’ve experienced that day: “I’m thankful for the love I feel for my daughter who just called,” or “I’m thankful for the lifestyle I’ve created that makes it possible to enjoy flexibility and freedom every day.” When the light turns green, I move forward with a smile on my face and a stronger Inner Coach! Try this exercise today. If you’re driving with children, this is a great family game. The “Attitude of Gratitude” has been well documented. 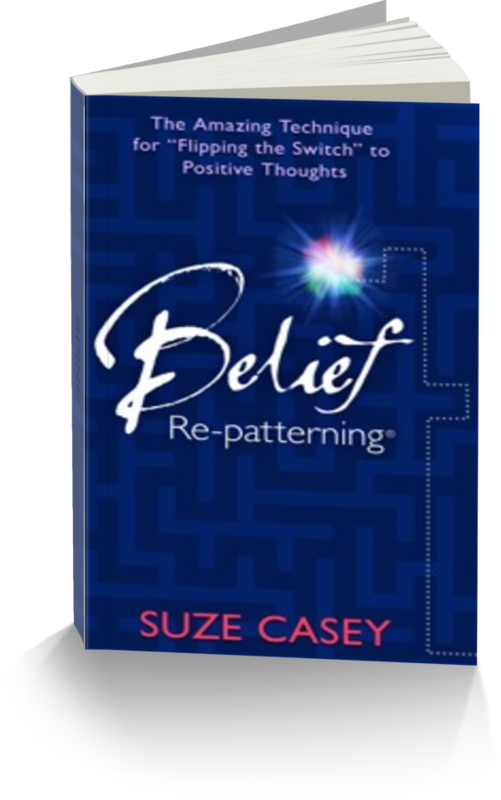 However, today Suze will support you to include gratitude to yourself. A fast way to strengthen your Inner Coach and raise your vibration! Our Practitioners are available to support you and your family. You can, and will re-pattern anything you choose.